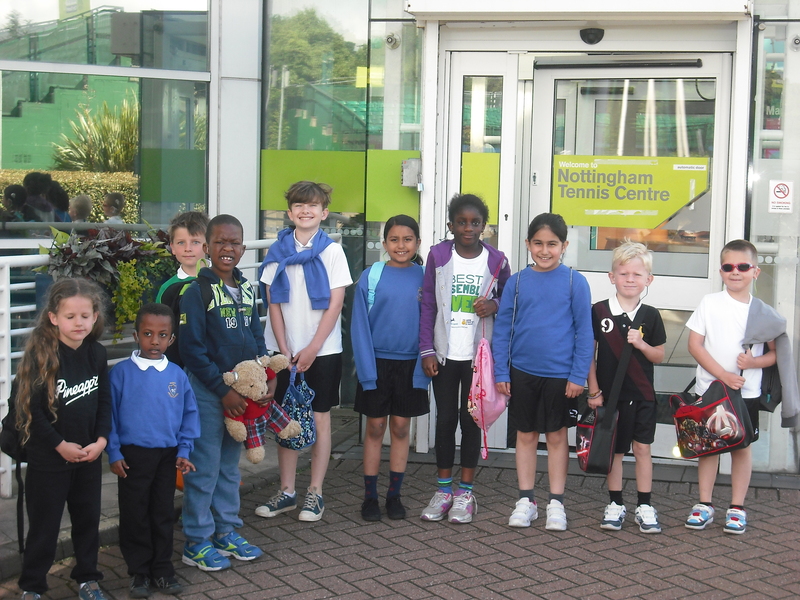 In July children from HIU were invited to the National Tennis Centre in Nottingham for a Deaf Tennis Camp.We all had to leave early one Sunday morning to get to Nottingham in time. It was very exciting going there all together in the minibus. We were really lucky as the coaches working with us were Deaf Tennis champions so they were able to give us lots of great tips. Our tennis really improved throughout the day and we are going to carry on working on our tennis skills at school. Please visit our gallery for more photographs of this event. *Please be aware that if you are using a Sat Nav to find the school you should enter CV3 5EG and not the postcode above.